How to Choose a Hummingbird Feeder » HummZinger Excel saucer style feeder by Aspects. 2-pieces that snap apart and are very easy to clean. 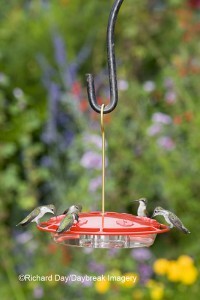 HummZinger Excel saucer style feeder by Aspects. 2-pieces that snap apart and are very easy to clean.